North Wales Pest Control is available 24 hours a day, 7 days a week and as your local pest controllers we promise to respond to you as quickly as possible. Pests can carry harmful bacteria which can contaminate food and spread disease such as salmonella, leptospirosis and lyme disease. Certain pests can also cause serious damage to the structure and fabric of your building and premises therefore prevention needs to be taken seriously. We are committed to providing a pest control service that is consistently humane, responsible and environmentally friendly. Our aim is to go beyond the removal of pests – we want to prevent them coming in the first instance and ensure that if you have an infestation our pest control treatment prevent they don’t come back. North Wales Pest Control offers a comprehensive, bespoke service designed to cater for your individual needs from one off ‘emergency call outs’ to fully integrated Service Agreements acting as an insurance policy to provide peace of mind. Our friendly and discreet domestic service arrangement offers a quick, reliable, efficient, responsible & cost effective package. North West Pest Control will talk you through each aspect of the pest control treatment explaining what is involved at every stage of the process. Our fully qualified, trained and insured technicians will track down the source of the pest and do whatever it takes to eradicate both the source, by blocking up holes, fixing broken pipes etc and eradicate the pests themselves – our aim is to prevent re-infestations. All the time ensuring the highest level of quality and safety is maintained to protect your family and your pets. North Wales Pest Control provides a guaranteed service whether you need a flea fumigation, a cockroach catcher, a bedbug exterminator or just a simple wasp nest treatment. We also offer FREE over the phone advice regarding all household pests. It is now incumbent on all businesses to ensure they have adequate pest control and pest prevention measures in place to maintain a safe working environment and prevent the spread of disease. North Wales Pest Control offers a friendly and discreet service and can advise you to help you comply with the principal legislation surrounding the Health and Safety at Work Act, Food Standards Agency and Food Hygiene Regulations. HACCP (Hazard Analysis and Critical Control Points) recommend that pest control inspections be undertaken regularly and that documented evidence should be kept on site. They also recommend using pest control contractors who provide 24 hour emergency cover. As a North Wales Pest Control customer, you are guaranteed help in not only meeting but exceeding the legislative requirements thus keeping your customers and auditors happy. To ensure Industrial and Commercial customers maintain pest free environments we put together a tailor made service packages to address your specific needs. North Wales Pest Control will undertake a FREE in-depth survey and risk assessment of your premises. The information gathered will allow us to provide a service package to meet all your business needs. You can be confident, in the knowledge that a professional pest control company is advising on all necessary steps to be taken to minimise the risk of infestations – thus maintaining the health and safety of your staff and customers. We prepare a professional report following each visit and will always leave a copy on site. Therefore you will always be able to demonstrate to the Environmental Health Officer that appropriate measures are in place to prevent and control pests. 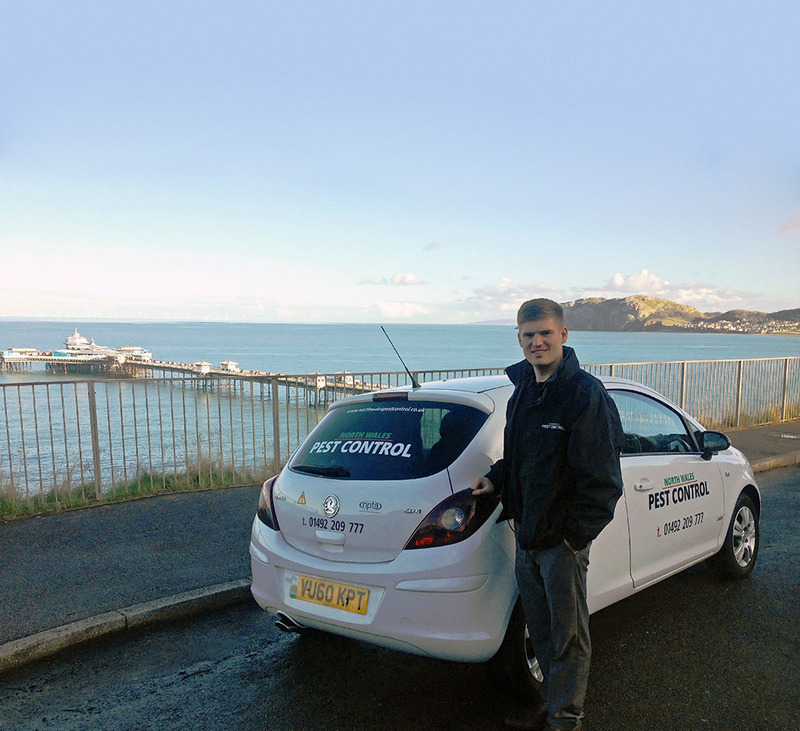 North Wales Pest Control is a member of the National Pest Technicians Association. We care passionately about the environment and wherever possible use non-toxic, humane, environmentally friendly products, pesticides and monitoring devices. We always comply with relevant legislation and the pest control Codes of Practice. We undertake Risk Assessments and have COSHH safety data sheets on hand for distribution to customers. We always record which pesticides have been used on site and leave relevant safety data and documentation with customer for their own records. Numerous certificates covering the safe use of pesticides, and the biology and control of insects and rodents. We have substantial experience in successfully eradicated pests from nursing homes, churches, schools, catteries, stables, farms, food outlets, industrial units, construction sites, power stations, hotels, pubs, sports facilities and many more – including lighthouses. We cover the following areas – Conwy, Gwynedd, Denbighshire, Anglesey, Flintshire, Wrexham, Cheshire and areas of the North West. Insect treatments cover an array of different pest problems, from garden ants to bed bug infestations. At North Wales Pest Control we can deal with all insect pest problems, so whatever the insect we can help you. 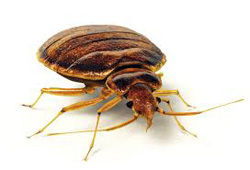 We’re experienced in treating fleas, German and Oriental cockroaches, bed bugs, ants, cluster flies and many more. 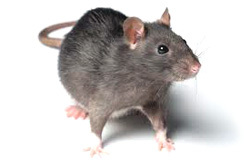 Rats and Mice are a common pest, in domestic, industrial and commercial premises. They are well adapted to living in close contact with humans and thrive in the conditions that man provides. They can cause extensive damage to property as a result of their gnawing activities, and also by eating and contaminating food. They may carry a number of diseases that can pose a risk to humans and animals. When it comes to controlling rodents there are many things to take in to consideration such as food source, size of infestation, location of nest and the length of time the infestation has been active before any type of poisoning or trapping is put in to place. At North Wales Pest Control we use specialised baits for each individual scenario. We also use environmentally friendly baits where secondary poisoning to birds of prey is minimal. 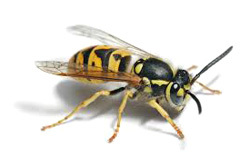 Wasps can cause a real problem for both domestic and commercial properties. In large numbers wasps can cause damage to property as well as being a nuisance especially in the warmer months of the year. North Wales Pest Control can assist with wasp’s nests in any location and at any height. Treatments start from £45.